The PermaTrak system was invented by a landscape architect named Franek Savarton, from Adelaide, Australia. In 1995, Franek was designing a boardwalk through a penguin rookery site on Granite Island, Australia for the National Parks & Wildlife Service. After starting with a traditional timber boardwalk, he started looking for a more durable alternative - a boardwalk product without the maintenance headaches. He started testing with precast concrete components in his backyard, using his childrens' sand buckets to form what has developed into the PermaTrak precast concrete piers. 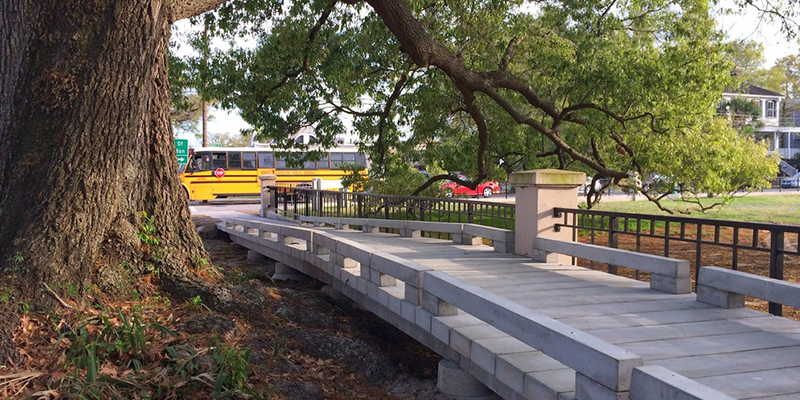 He specified an integral color and walking surface texture during the production process, and PermaTrak's first concrete boardwalk system was born. As a landscape architect, you understand how design flexibility with hardscape products can influence a the overall design of a particular space. Today, we offer several different standard integral colors and textures to broaden the design opportunities for multi use trails, wetland boardwalks, greenways, pedestrian bridges and piers. In fact, the vast majority of people who visit an installed PermaTrak project or see a product sample at a trade show tell us that it doesn't look like concrete, and they ask, "What's this made of anyways? Some composite material?" Note: custom integral colors are available upon request, but typically are not used as a cost saving measure. Below are different resources on boardwalk design and cost information, or you can get started with photos from some of our 75+ projects here. Is a Concrete Boardwalk Too Heavy? Who Can Install a Concrete Boardwalk? 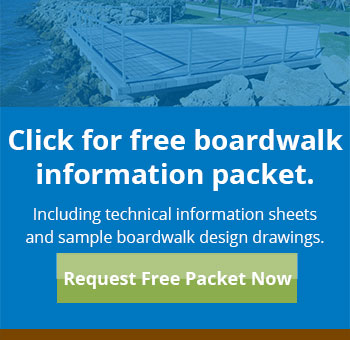 Boardwalk Construction Estimates: How Much Does a Concrete Boardwalk Cost? Does PermaTrak Charge Engineering Fees for Design Documents?